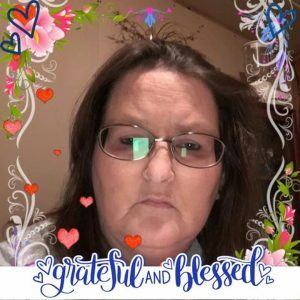 FULTON, NY – Tammy S. Phillips, 52, of Fulton, passed away on Monday, October 8, 2018. In her free time, she enjoyed building LEGOs, doing puzzles and was an animal lover. She was predeceased by her father, Harold White; mother, Patricia “Pat” Stacey; and a nephew, Lucas. Tammy will be forever loved by her husband of 23 years, John; daughter, Shania (Aaron) Cooper; sisters, Tina Ryder and Christina Lester (John Smith); nieces and nephews, Heaven Ryder, Jerrod Ryder, Joshua Smith, David Smith, Ryan Smith, Jacob Lester, John Lewis Jr., Steven Lewis and Douglas Lewis. A ceremony of remembrance will be held 11 a.m., Friday October 12, at the home of John and Cherie Sardella, 738 Rider St., Parish, NY.